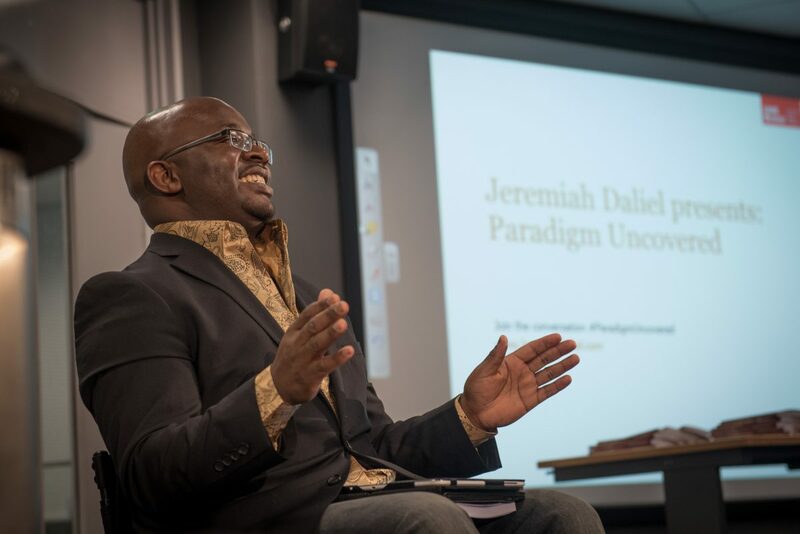 On Thursday 16th February, Bristol Business and the Bristol Law School invited alumnus Jeremiah Daliel back to UWE to help him launch his first book. Jeremiah Daliel was in a car accident in 2011 which left him wheelchair bound. 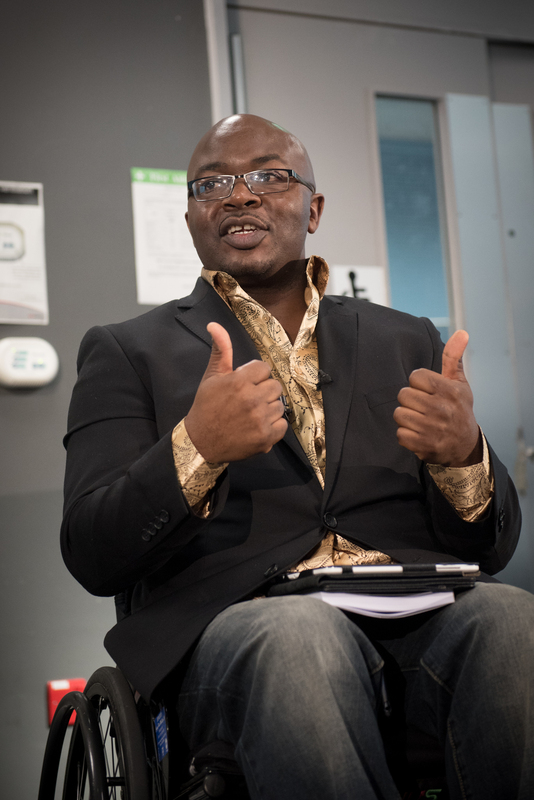 Whilst recovering in hospital he found he had ample time on his hands so began reading avidly and ended up enrolling for not one but two degrees: LLB Law at UWE Bristol and Criminology at the University of Portsmouth. On his first day at UWE Bristol, Jerry’s tutor asked the class what they saw themselves doing in the future. Whilst his fellow classmates talked about future careers they would have, Jerry said he wanted to stand to receive his degree, 3 years later. 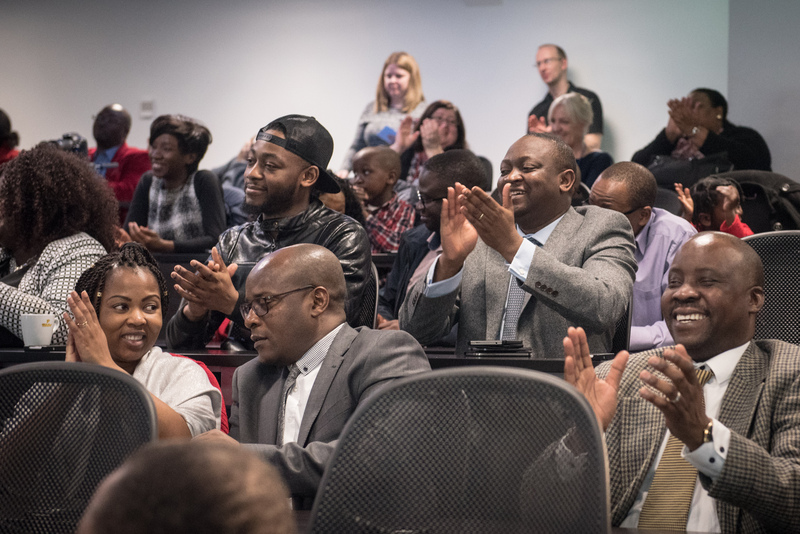 Miraculously, Jeremiah managed to stand up completely unaided and remain standing for the first time in 5 years to receive his degree from UWE Bristol in July last year. The incredibly emotional moment was shared on UWE Bristol’s Facebook page and was viewed over 130,000 times. From being shared across UWE social media, the story got picked up by the press and Jerry soon became an internet sensation, with most major newspapers covering the story. Since graduating in July, Jerry has continued his studies at UWE Bristol and is now undertaking his Advanced Legal Practice course. He hopes to go into full time practice upon completion. 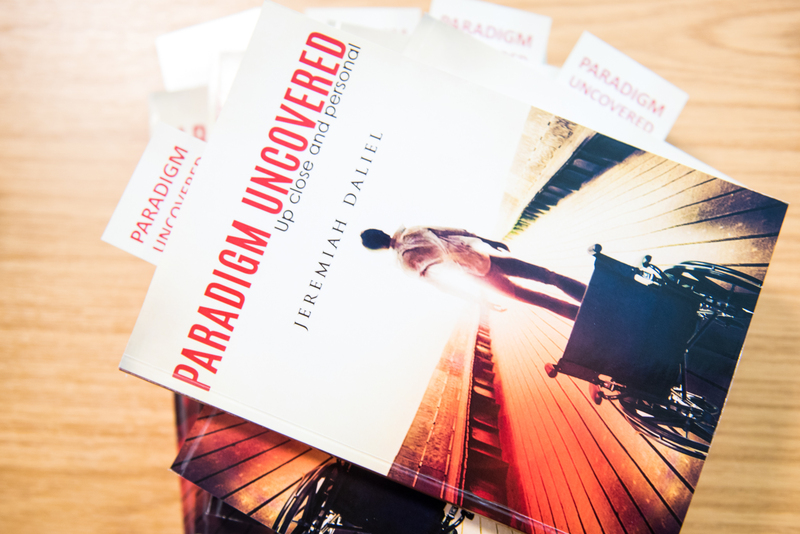 As well as studying for the LPC, Jerry has also written the book “Paradigm Uncovered: Up Close and Personal”. The book was inspired by the life changing events which happened to Jerry but focuses on setting and achieving goals. The book aims to help you change your mind-set in order to stay focused and achieve your goals. Guests were welcomed to the book launch by Pro Vice Chancellor Jane Harrington, before Jerry shared his experiences and read excerpts from the book to the crowd. Photos from the event can be found here. Credit: REW-Photography.